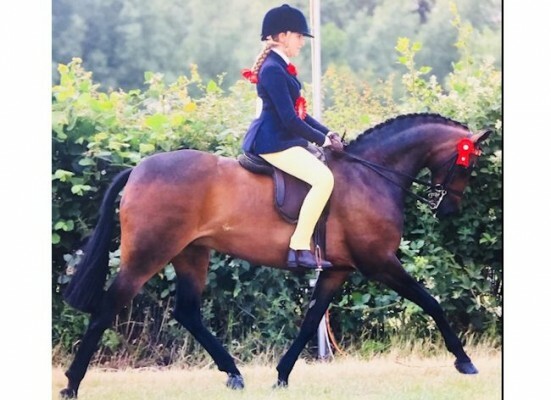 3rd at HOYS 2018. Placed at Royal International and Royal Windsor. Top three placings at every county show attended. Many championships taken. Placed in the Cuddy as a three year old and she hasn't stopped winning since. A true child's pony that can be handled, hacked out, groomed etc by them. Hopelessly outgrown hence the unscheduled early sale and a bargain price as sold from the field. Full list of results available from BSPS. Can be home or professionally produced.